We live in the ‘lucky country’, right? But here we are at the start of 2019 with more than one in seven kids right here in NSW living below the poverty line. Making sure that our kids have what they need to make the best of their education makes for a stronger community, and it’s easy to help! Education is the future, and the way out of poverty is through education. We know this. And yet, right here in our own city, there are children whose hard-working parents are going without food and medical care to provide the basics for their kids. A roof over their heads and food in their bellies must come first. So, while it may seem like such a small thing- stationery for school- for some it means so much. 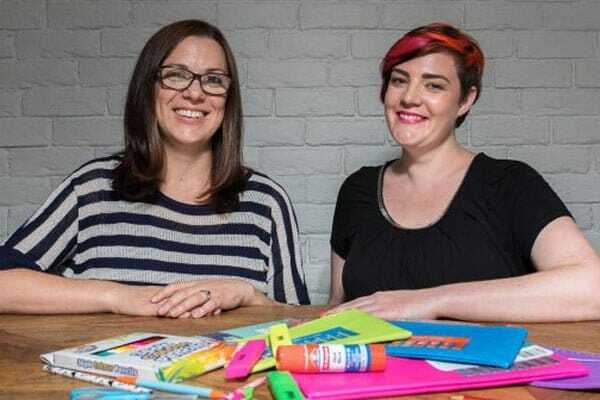 Without access to basic equipment- a pen to do their homework, a pencil during class- what happens to their learning outcomes? We don’t like to think that such poverty it can happen here. But it does. According to last year’s Australian Council of Social Services report, the problem is getting worse, not better. 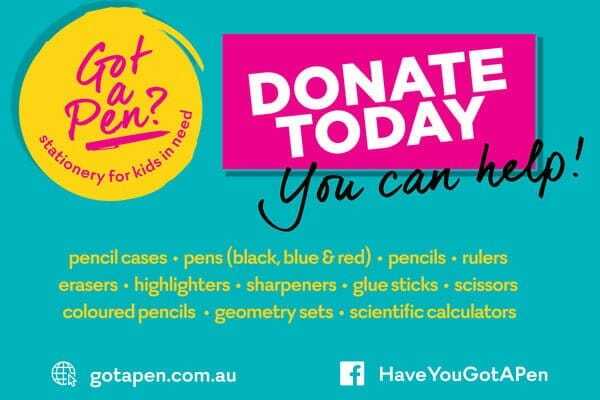 “Got A Pen?” is now collecting donations of new (not used) blue, black or red pens, pencils, pencil cases, rulers, scissors, pencil sharpeners, erasers, highlighters, glue sticks, coloured pencils, as well as scientific calculators and geometry sets. Give a child the chance to write their story. You can help some of the many kids in our very own community who live in poverty by providing the basic stationery that they need for school. Visit our website to make a difference.